As a lad growing up in the eastern suburbs of Melbourne, Philip fell in love with the sounds and messages of the troubadours of the 60’s and 70’s such as Bob Dylan, Joni Mitchell, and Donovan. The finger picking guitar styles of Paul Simon and Ralph McTell inspired and influenced his playing style. Having been gifted an old guitar by a friend, he began playing and writing, telling his own story and finding his own voice. There followed years of performing in Australian bush bands, duos, cover bands and solo gigs. Venues ranged from folk festivals and house concerts to community rallies, pubs and schools. On various occasions he has shared the stage with Eric Bogle, Hugh McDonald, John McCutcheon, Phil Carroll & Ernie Gruner, Toumani Diabate, Jane Thompson, Flook and Clare Bowditch. 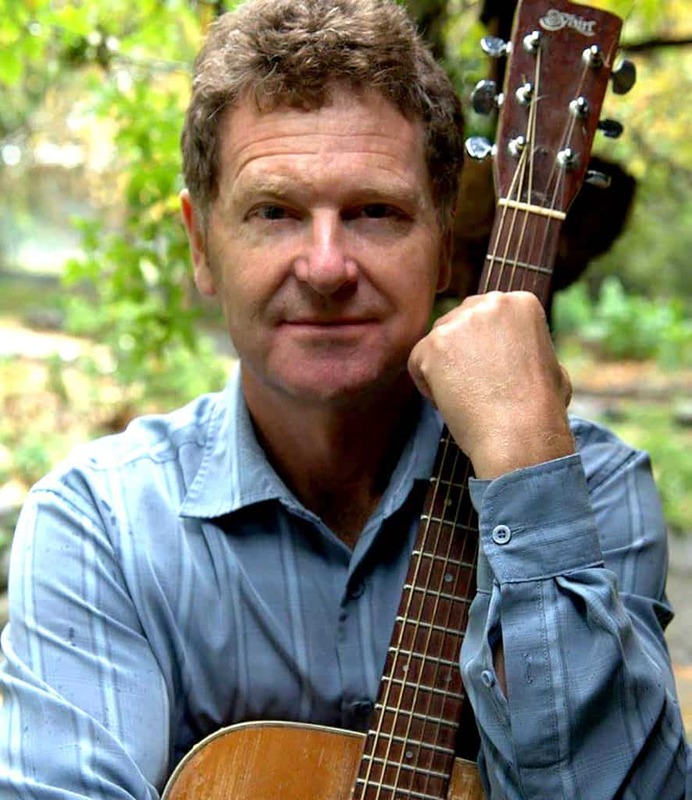 At the Port Fairy Folk Festival Philip won the “Henry Lawson Songwriting Award” for the best original song in 2000 and the “Best Song of Tolerance” in 2000 and 2004. In recent years, Philip has been involved in school music programs, running songwriting workshops for primary and secondary students and recording more than two hundred songs and four musicals with Artist-in-Residence Hugh MacDonald, of Redgum fame. He has a passion for social issues, teaching English to asylum seekers and being involved with fundraising for school rebuilding projects in Nepal. Philip’s latest release “Our Little While Wandering” consists of a collection of 18 tracks – 17 of which are his own original songs, showing great diversity of style, from lively, humorous tunes to quiet, heartfelt stories. Also included is a cover of Hugh MacDonald’s own song “Diamantina Drover”. Philip loves performing live, particularly in intimate settings as his songs have engaging lyrics, memorable tunes and opportunities for audience participation. Philip has a great ability to connect with his listeners, feeding both heart and mind with his passion and sincerity.